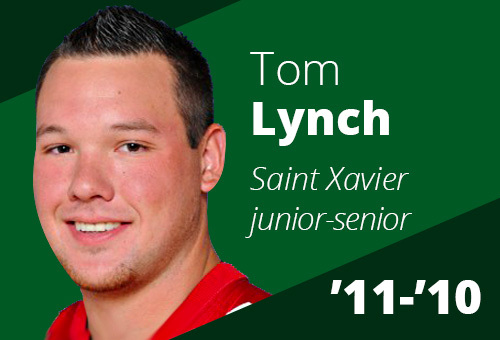 Saint Xavier University senior place-kicker Tom Lynch is the recipient of the 2011 Fred Mitchell Award. The Award is provided to the nation’s top place-kicker in FCS, Division II, Division III, NAIA and NJCAA for excellence on the football field and in the community. Over 750 place-kickers are eligible. Lynch participates in the school’s annual service day where students do community service projects, he volunteers at Misericordia which maximizes the potential of people with mild or profound developmental disabilities, he provides complimentary maintenance services and volunteers at the South Bridge Community Church summer day camp, he volunteers at the Kids Enjoy Exercise Now program to support a not-for-profit volunteer-led organization that provides one-on-one recreational opportunities for children and young adults with mental and physical disabilities and he is a place-kicking tutor at his high school alma mater (Lincoln Way East).